Subheading of the book being ‘How Washington Is Betraying America’s Young’ and Part I is on “Unfunded Promises” and “Paying for Parents’ Health Care”. What are you – an idiot? because either the moderators do not know enough to be confident in posing it or the rapid-fire nature of these entertainments leaves no time for reflection. I was enjoying “Failed States” by Noam Chomsky until that final chapter on Social Security* which the left seems to have adopted as their mindless defense of the status quo. 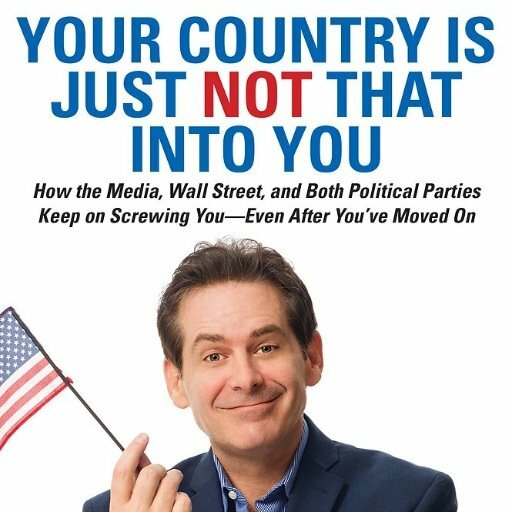 So it is with “Your County Is Just Not That Into You” by Jimmy Dore which made some good points along with one of the dumbest arguments yet for ignoring the impending implosion of Social Security and Medicare. Erica Laursen’s new book about the recent (last 30 years) history of Social Security is a compendium of prior research that provides valuable historical and political perspective on the evolution of a program that is about to abet in the bankruptcy of this country. Robert Greenwald is a great documentary filmmaker. Riefenstahl has nothing on him. Second, we’ll suggest that Shakespeare had it wrong when he said, “The first thing we do, let’s kill all the lawyers.” The right statement is, “The first thing we do, let’s kill all the accountants.” Government accountants have concealed Uncle Sam’s Ponzi scheme since its inception by focusing attention on the official debt. But they knew, or should have known, as a matter of economic theory, that official debt is a figment of our language, not a meaningful measure of our fiscal affairs. As a result, they’ve made sure, with the help of the politicians, that the public (and most economists) would ignore the rapidly metastasizing economic tumor associated with our living beyond our children’s means. In referring to the Social Security/Medicare Ponzi scheme the authors could have easily wished bloody annihilation upon actuaries as accountants.